NEW YEAR RESOLUTION WEIGHT LOSS TIME! 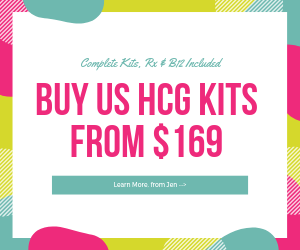 EXCLUSIVE 2019 HCG KIT DEALS! It’s no secret that the HCG Diet Plan has been highly controversial in the past. This was largely based on the myths that surrounded the diet, as well as the surprisingly low calorie diet of the original 1950’s version of the diet. Well, times have changed and the diet is quickly growing to be known as an effective hormone therapy diet, supported by countless highly respected medical professionals including Dr. Oz and Doctor Emma Sharon. 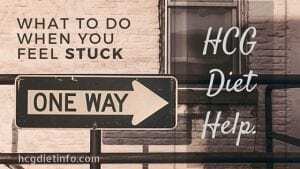 In fact, it wasn’t until the NEW HCG Diet was covered on a number of national TV shows, including the Dr. Oz Show, that many of the myths and misunderstandings were clarified and the diet was taken more seriously than merely another fad diet. 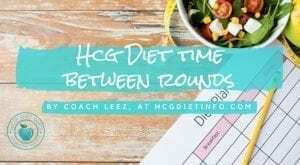 Let’s clarify a few of the myths and misunderstandings of the HCG Diet Plan. The FDA is anti-HCG for weight loss. A surprisingly misunderstood claim. The FDA is actually states numerous arguments against hormone-free and HOMEOPATHIC HCG and the 500 calorie diet itself. To date, they have made no qualms against the HCG Diet and merely state that there has yet to be any study to explain that the hcg diet does work. Read more: FDA on the HCG Diet. HCG used for the diet comes from the urine of pregnant women. FALSE. This is one of those interesting, yet sticky HCG Diet myths we continue to come across. No, HCG used for the diet does NOT come from the urine of pregnant women. HCG used for the diet, and in fact, ANY medical treatment (such as fertility) is synthetic, and created in a sterile lab. The HCG Diet requires a 500 calorie diet. 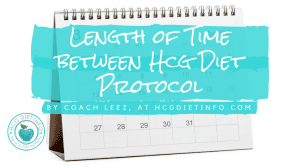 While the Original HCG Diet Protocol required a 500 calorie VLCD (very low calorie diet) the NEW HCG Diet and most other HCG Diet Protocols suggest a much higher calorie intake. The NEW HCG Diet Plan actually includes a calorie intake that is determined according to the individual’s BMR with an average calorie intake of 1395 calories for an inactive individual. The HCG Diet is anti-exercise. The original protocol did not require exercise because Dr. Simeons believed the metabolism was stimulated enough by the HCG hormone. Now however, science has shown us how HCG truly effects the body and has dispelled this myth. HCG actually stimulates muscle retention during weight loss on the diet which in turn, helps the body to burn fat at a steady rate. Exercise in fact increases the effects of the diet, improving overall health and weight loss throughout the protocol. Read more: HCG Diet and Exercise. HCG Dieters lose 1 pound per day. When HDI polled 7,000 HCG Dieters, we discovered that on average, HCG Dieters lose 1/2 to 1 pound per day. This was not throughout an entire round however. The average HCG Diet weight losses for 1 round is between 15 and 20 lbs. Everyone is different and protocols are different; this means results will always be different from individual to individual. Those taking HCG injections or pellets, lost at a faster rate than those taking drops, however all had significant weight loss rates. You do not feel hunger on the HCG Diet Plan. HCG is NOT an appetite suppressant and therefore if your body is telling you it is hungry…this is not a normal side effect and something can be adjusted. For more information, read: Hungry on the HCG Diet. HCG doesn’t really do anything. It’s the diet that makes you lose weight. While any injections can be dangerous, HCG injections (self administered or otherwise) can be done with minimal risk involved. Just as an example, diabetics and patients undergoing fertility treatments, are taught to give themselves injections in a single office visit and it is extremely rare that any issues occur even over a period of decades. In HDI’s 10+ years as experts in the industry, we have yet to hear of any issue that came up from self injections of HCG for weight loss. A few tips to keep in mind though: Always sterilize the injection site using alcohol, in a circular motion, spiraling outward. Allow the site to air dry as much as possible before injecting the needle (it will sting less.) Do NOT blow on the alcohol to get it to dry faster; this defeats the purpose of a sterile area. And of course, always use a new, sterile needle from a sealed package. If you use the age-old trick of a quick slap to the area (confused the nerves and masks pain for approximately one minute) be sure to sterilize the area with alcohol AFTER the slap. Place a bandaid or gauze over the injection site for at least an hour to protect the area. Refrain from sweating for a few hours, as sweat can irritate the injection site. Tips for Injecting HCG. There are very few and rare side effects from using HCG for weight loss if done correctly. In most cases, reported side effects tend to be from another aspect of the protocol rather than the HCG hormone. Common side effects reported are light headedness, headaches and irritability, both of which tend to really stem from low blood sugar and can easily be avoided through food and meal time adjustments. Occasionally, these are a result of food additives being removed from the diet or even food addictions. For example, many food preservatives and of course caffeine, are known to cause all of the above side effects when removed from an individual’s regular diet. 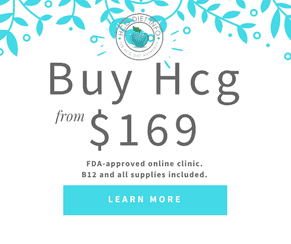 Over the counter HCG is just as effective as prescription HCG. Unfortunately, homeopathic HCG that is sold over the counter (seen at Costco, on Amazon, Walmart, CVS, etc) has given the diet a very bad name. No, it does not have the same effect as REAL HCG and typically consists of amino acids, water, and alcohol. While individuals still report weight loss, it is often short lived and with a number of challenges including extreme hunger, headaches, etc. The FDA has released a warning regarding homeopathic HCG: FDA on Homeopathic HCG. 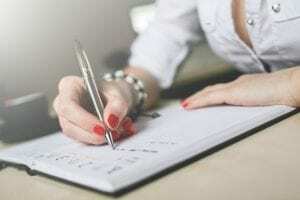 With some of the more common myths of the HCG Diet clarified, it is easy to see why so many millions of people have chosen the HCG Diet Plan for their weight loss program. Have questions still? 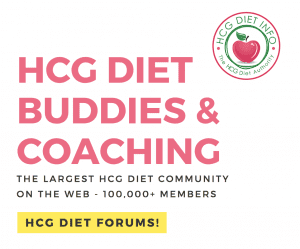 Feel free to email Hdidotcom ( @ ) gmail.com or for a quicker response, join our HCG Diet Forums, the largest HCG Diet Community on the web where over 100,000 members are there to offer their support! I lost 88 lbs with the HCG Diet in 2002, and I kept it off for over 10 years and I’m currently on a mission to lose 45 lbs of baby weight with HCG from Nu Image and Diet Doc. 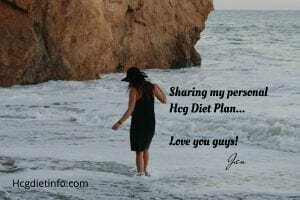 This diet changed my life, leading me to start the first Hcg Diet site: Hcgdietinfo.com. 15+ years later, 100 million visits, over a million pages, & countless lives changed… HDI has become the true highlight of my journey. 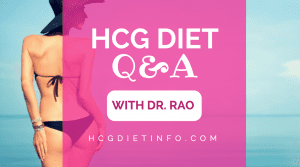 How Long Should I do the HCG Diet? Can Hcg Diet Injections Cause a Positive Pregnancy Test? Nu Image coupon Codes here. Diet Doc coupon codes here. Riverfront MD coupon codes here.